Sundarbans is known all over the world for its wide variety of wild life, the most famous being the Royal Bengal Tigers. However, numerous species of crocodiles, birds, spotted deer and snakes also inhabit it. So, many wildlife lovers come here to see all these and more. Hotels in Sundarbans cater nicely to this niche clientele. 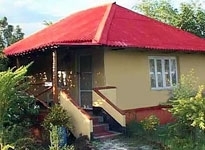 Accommodation at Sundarbans Hotel comes in different styles. Some hotels offer well appointed rooms while some other hotels provide nicely adorned cottages. However, whatever be your choice, you are certain to get your money's worth at these Hotels in Sundarbans. 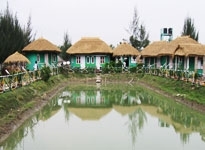 So, while you enjoy the comfort of elegantly furnished rooms at Sundar Chital Tourist Lodge and Vivada Cruises, Sunderban Tiger Camp offers you the thrill of staying in camps amongst the wilds of the forest. The well maintained rooms of Hotels in Sundarbans, India offer comforts that match international accommodation standards in most of the cases. 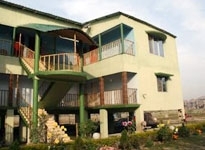 These rooms are big, clean and boast of modern facilities like attached baths, running water, big verandah, electricity round the clock, television etc. However, the actual list of room facilities can vary from hotel to hotel. When you mull over the gastronomic aspects, Hotels in Sundarbans would be a pleasant surprise. Though most of these Hotels of Sundarbans offer both global and local cuisine, a perennial favorite remains the wide variety of seafood on the platter. Delectable fares are stirred by experienced chefs that make use of fresh fishes, crabs and lobsters. In fact, the aura and the flavor that these prized catches bring to the fares can't be obtained at even some of the best restaurants in town. So, enjoy this culinary spread to its best and let your taste buds thank you for years to come, if not for the whole of your lifetime! Almost all the Hotels in Sundarbans offer conference facilities, much to the delight of the business travelers. So, corporate tourists on the move can continue their business affairs while enjoying the mesmerizing ambiance of the Sunderbans. If you think that your stay at these Hotels in Sundarbans would be a boring affair, think again. A plethora of leisure and amusement facilities is on the register of most of these Sundarbans Hotels. Apart from enjoying cruises in the river, you may also have the opportunity to visit some nearby attractions and have a peep into the varied fauna housed there. 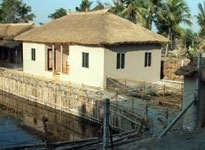 Some other recreational facilities made available at the Hotels in Sundarbans are library, gymnasium, art gallery etc. Nevertheless, the actual list of the recreational facilities varies largely from hotel to hotel. 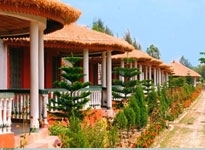 Last but not the least, Hotels in Sundarbans offer some added facilities too to woo its boarders. A foremost one is the adequate security arrangements made available at these Hotels of Sundarbans. Purified drinking water is another amenity that's provided at a majority of these Sundarbans Hotels. 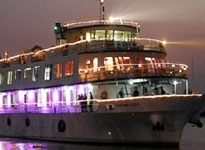 So, rush to book yourself into one of these Hotels in Sundarbans. Once your tour gets over, you are sure to carry the burning desire to return here at your earliest. 14, Southern Avenue.Kolkata - West Bengal, India.